Do you ever feel that your market research isn't providing the actionable insights that you need to develop successful, differentiated strategies and tactics to deliver brand goals? Pharma companies have leveraged the Kynectiv simulation platform to better assess how their key audiences make decisions. By placing participants in real world scenarios that replicate the situations they encounter, the Kynectiv platform collects data and insights on what the participant would actually do, not what they say they would do. Since the simulations are story-based, you can craft any storyline that provides the insights you are seeking. 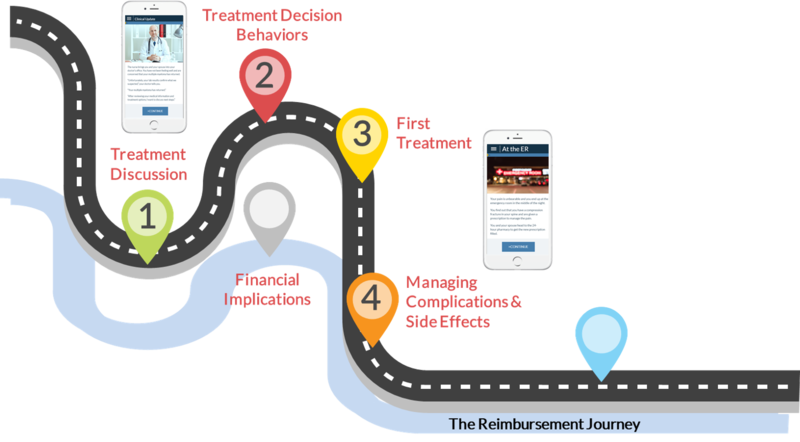 Recently, in a research project with a pharma company, four key points in the patient journey were investigated to better understand how to improve the patient experience. Patients were brought back to each point in their journey through storytelling and were asked to make the decisions as they did in real life. Emotions were also captured as well as the patients' recommendations on how best to improve their experience. These data were tracked across the steps in the journey to understand how decisions and emotions changed. The insights helped identify immediate opportunities to improve the patient experience at the clinician's office and through the brand's patient support programs and website. The insights were also used to enhance field training and improve the value prop conversations with payers. The same approach has been used to better understand actual behavior and drivers of behaviors of HCPs, payers, commercial teams and other key constituents. These insights help brand teams continuously refine and improve their strategy and tactics - and results.